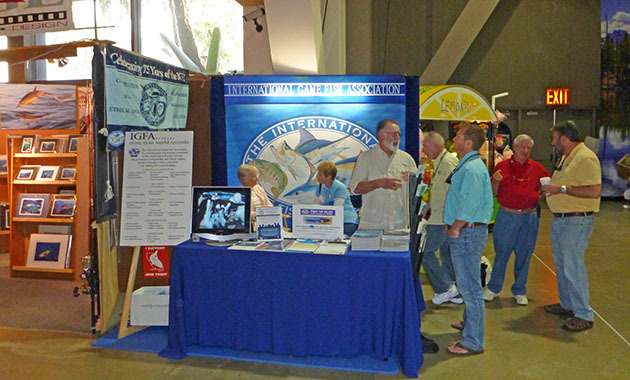 This year’s Fred Hall Show in Long Beach, CA was a huge success on many levels. 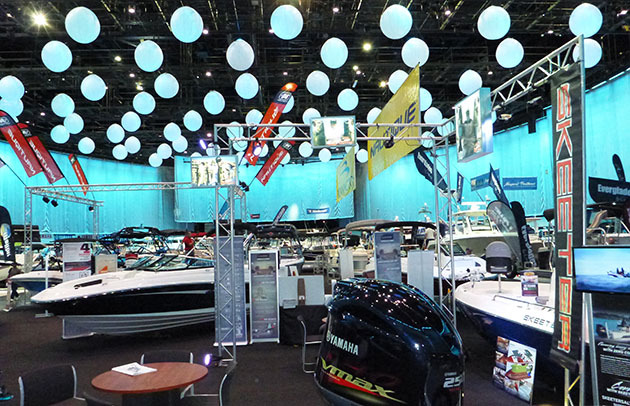 Anglers of all types and ages came to check out the latest offerings from the vendors at the show. Good food, live fish, tackle bargains and the latest gadgets were all on hand at the show. 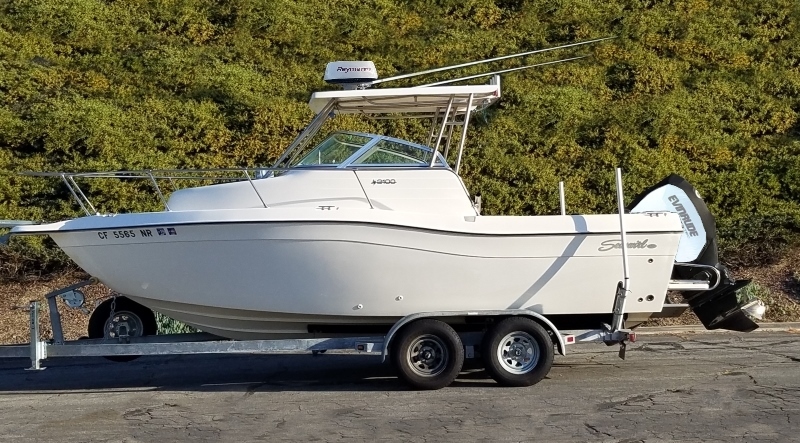 Huge lines at the opening of the show gave insight as to the “fired up” attitude of California anglers after having one of the best years of fishing in recent memory. Throngs of anglers roamed the isles gathering up deals on rods, reels, tackle, line and clothing. 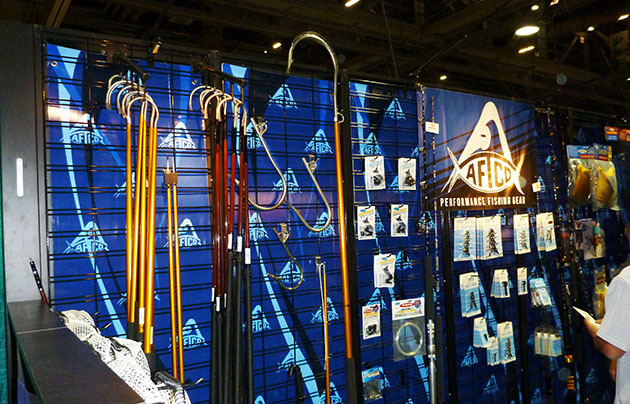 AFTCO had their booth with just that, hardware such as gaffs and their many fishing-friendly apparel designs. They are always on the leading edge of performance and good looks with their clothing and accessories. Sticking up from the waves of roaming people were the rods they were buying. 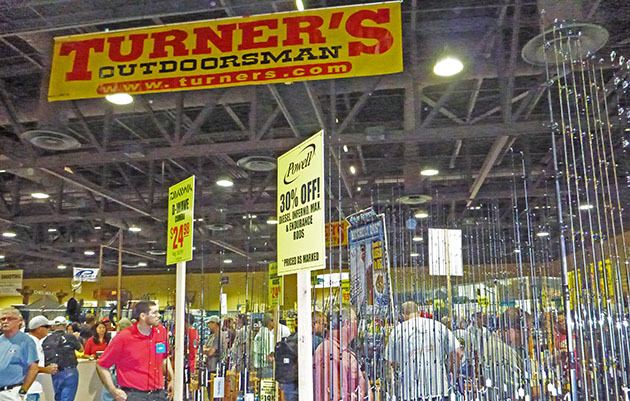 Turner’s Outdoorsman was having a heck of a sale and their happy customers were flocking to take advantage of their huge selection of fishing tackle and outfits. 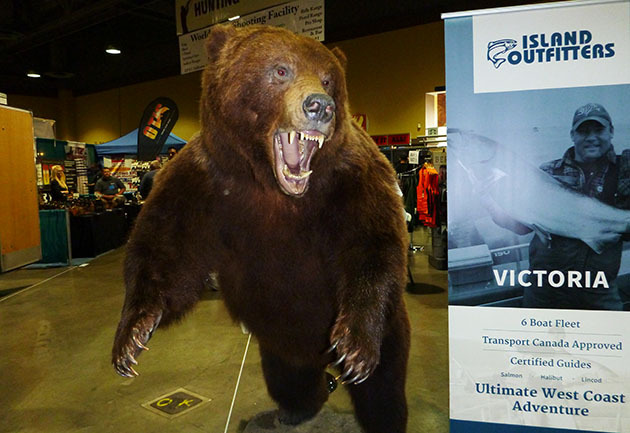 Outfitters from all over the country and the world were on hand to tout their specific brand of outdoor fun. 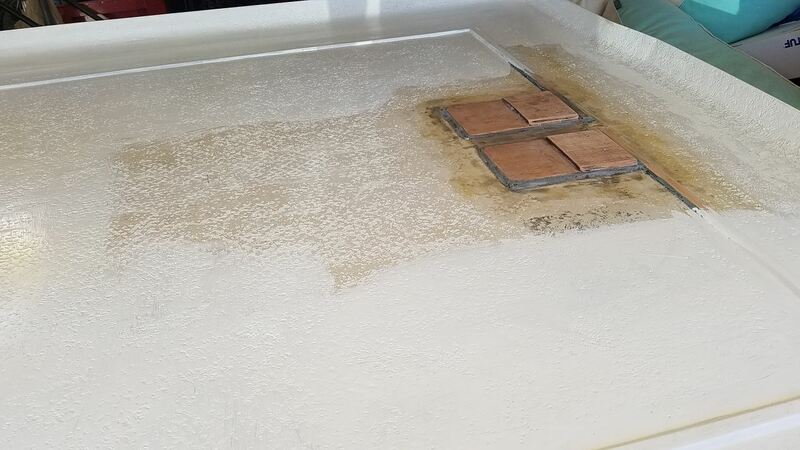 Mounts and coolers of real fish were on hand to lend credibility to their claims of great fishing and hunting. Bucket list trips lined the rows, and picking just one would be a chore. 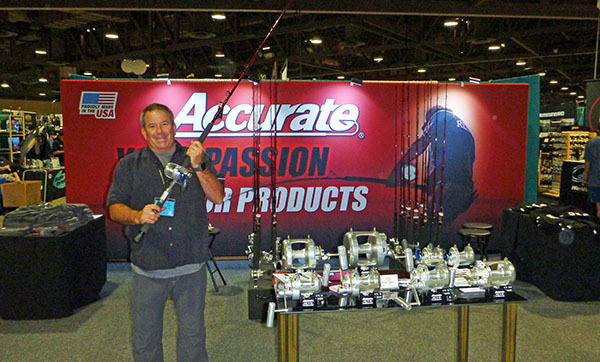 If fishing is you passion, then you were in the right spot; the folks from Accurate were here to show off their latest new products and introduced some amazing price reductions on their wildly popular Fury reels. 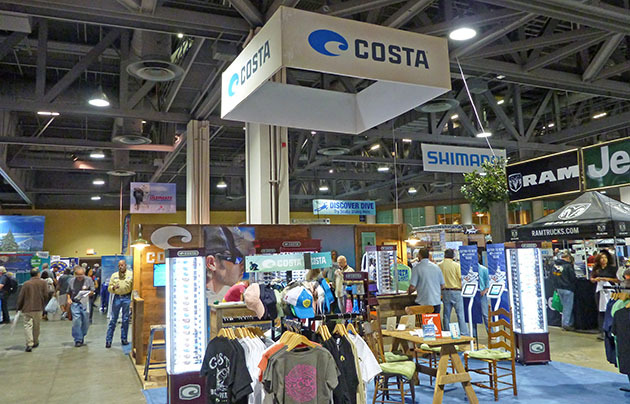 Costa had staked claim to a large area and was busy introducing more anglers and outdoorsman to their diverse line of incredible sunglasses. Both functional and comfortable, these quality glasses are the standard by which others are judged. If you needed to buy a reel for the upcoming fishing season, you were in the right place. 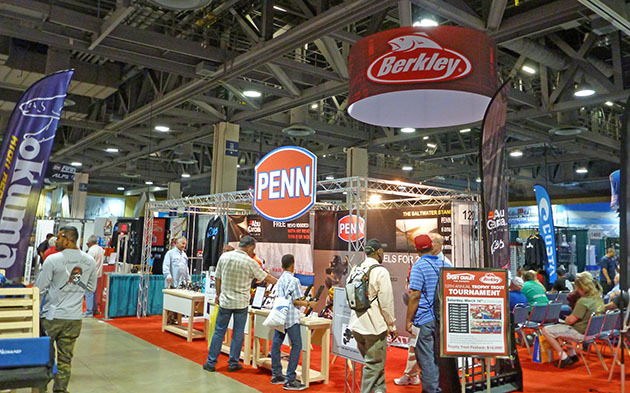 Penn had a display of their latest technology and was also putting on seminars by their experienced pro staff. 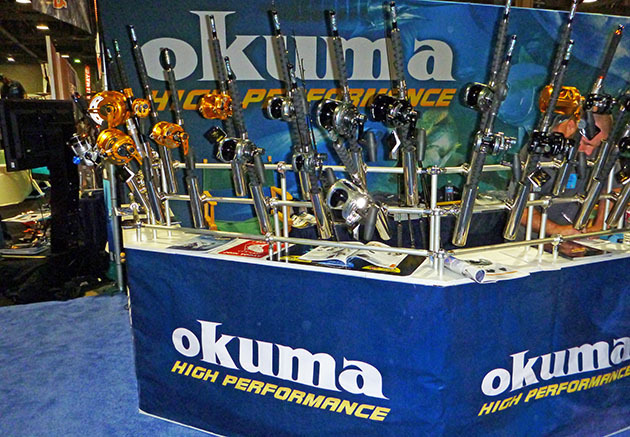 Okuma was also there with a wide selection of quality reels for every type of fishery you could imagine. From big game saltwater to fly fishing, Okuma has a high-performance reel designed for the job. 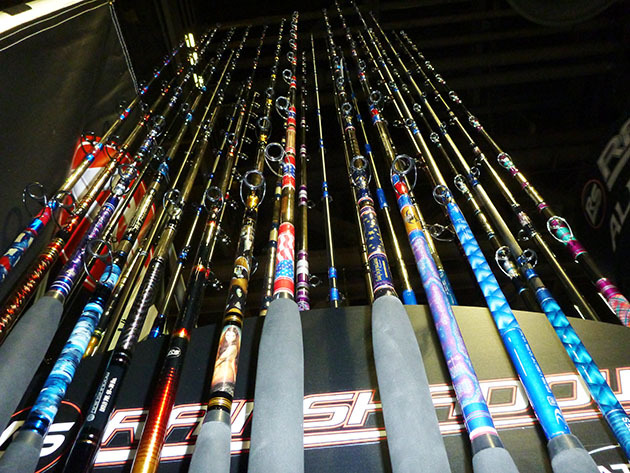 Once you bought your reels, the selection of rods available was endless. Cousins Tackle had their rods on display. A full range of American made rods is available in several price brackets for any type of fishing. 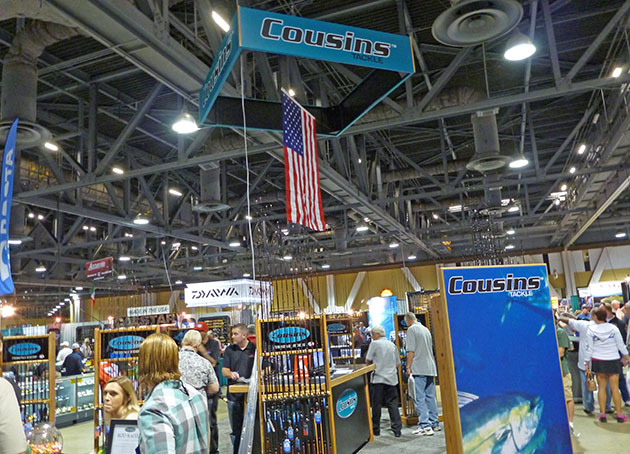 Cousins also announced its merger with the Texas based Castaway Rods to further the production and distribution capabilities of both companies. 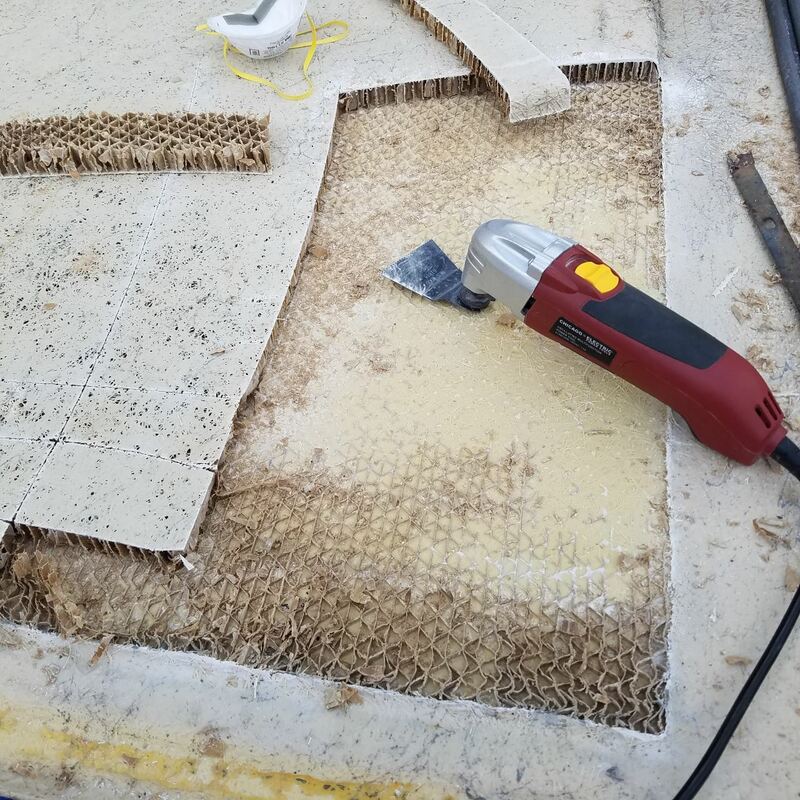 If you were thinking of building your own custom rod, then the Batson/ Rainshadow booth was the place to be. 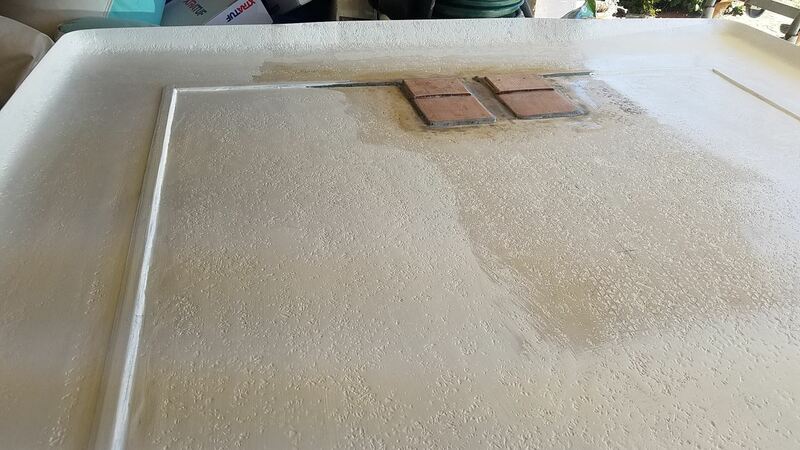 Rainshadow blanks and Alps/Forecast components are an integral part of many rods, both custom and production. Batson had rod building seminars at their booth and a rack full of custom wrapped rods that they gave away each day to the sounds of an extremely excited crowd. BD gave away a custom Batson Rainshadow rod wrapped by Bill Havens of SaltyDawg Custom Rods. 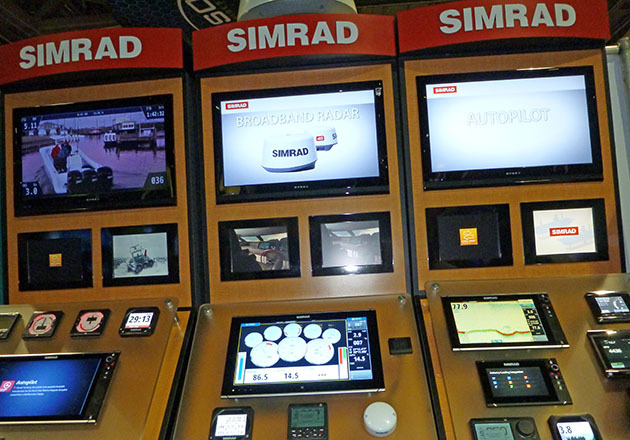 Not to be left out, the marine electronic offerings from Simrad and Lowrance were on display. 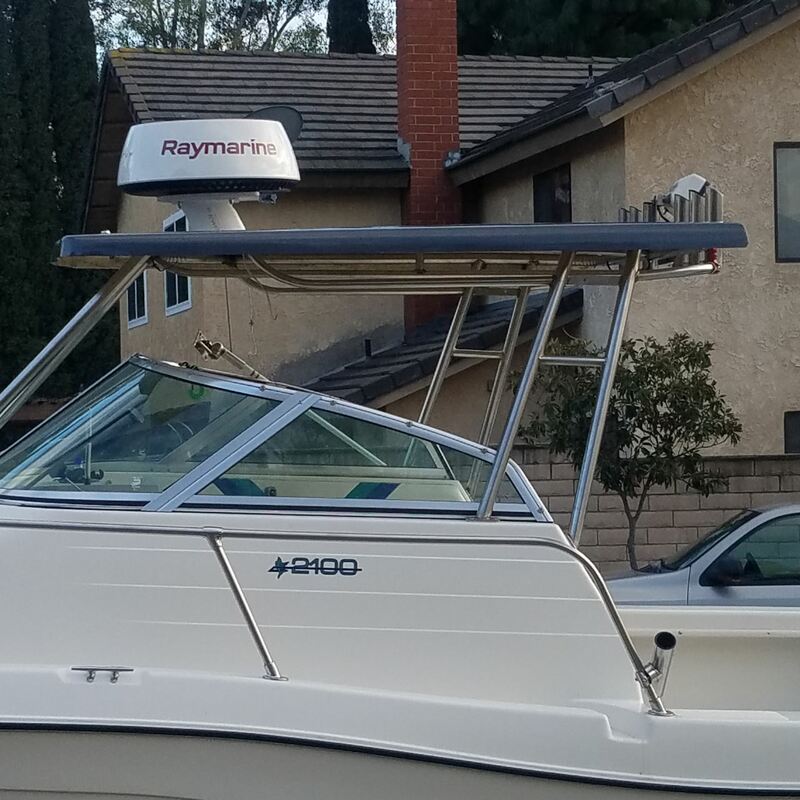 Both of these brands offer amazing fish-finding technology at very affordable prices. 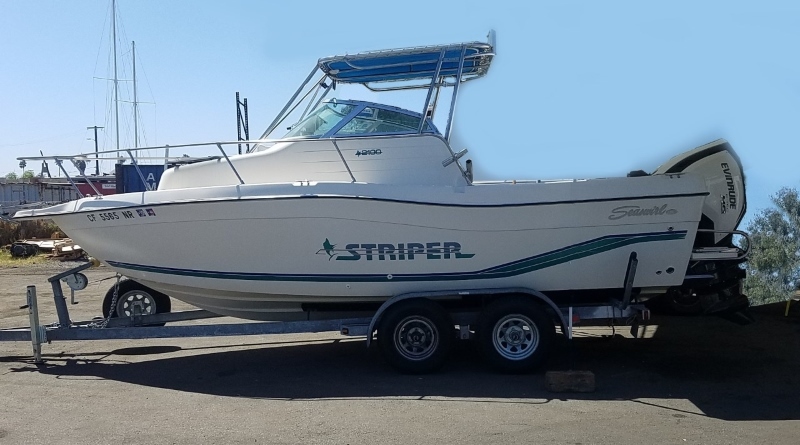 Whether your rigging your kayak or 65′ sportfish, they have a state of the art unit for your needs. 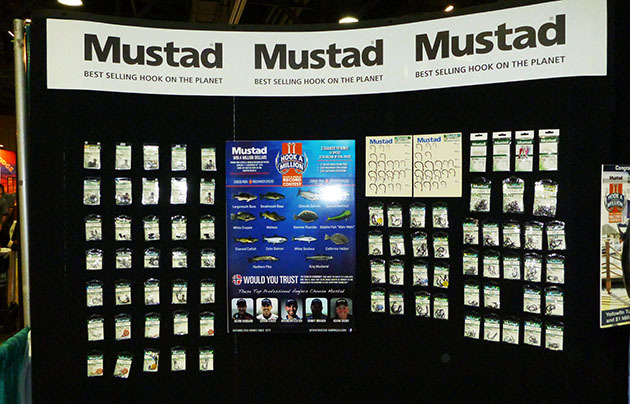 Mustad, the long-time standard in hooks and terminal tackle had their latest styles on display. No matter how you fish, there is a Mustad hook made just for you. 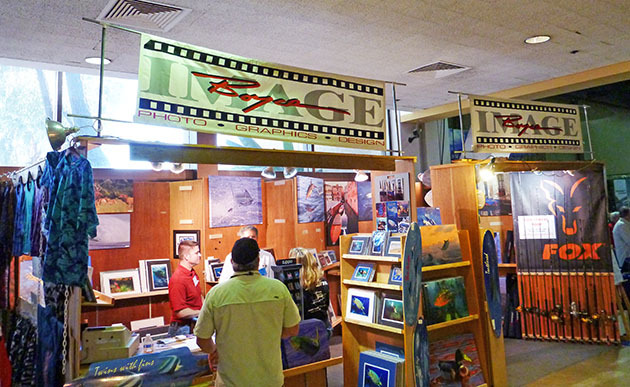 Numerous artists had their outdoor oriented work on display and for sale. Painting, metal sculpture, woodcarving and more, the talent was flowing in these amazing works. 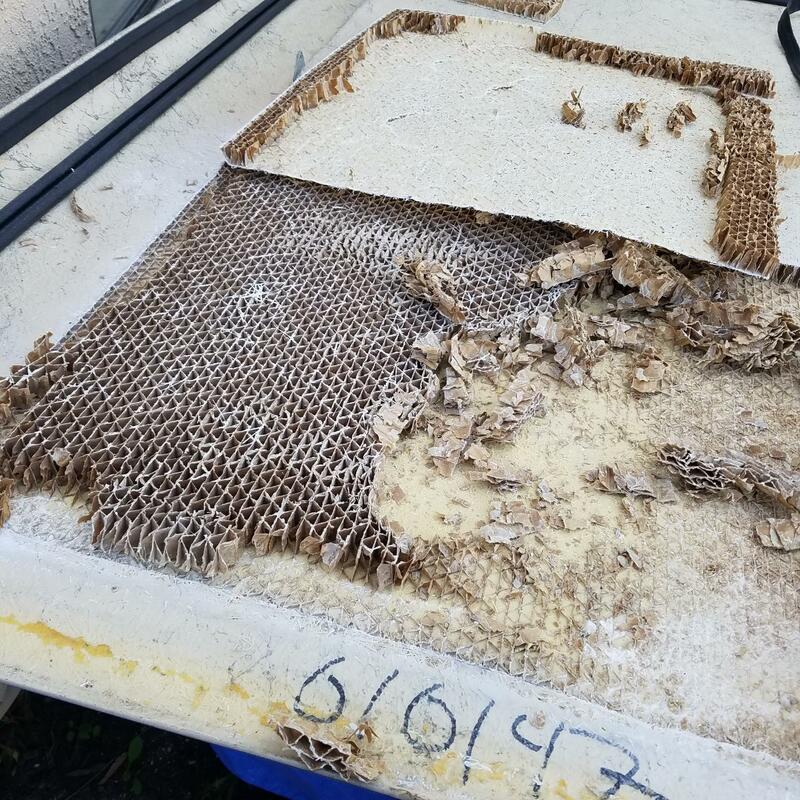 The IGFA was here signing people up. They had a banner show that included some lifetime memberships. 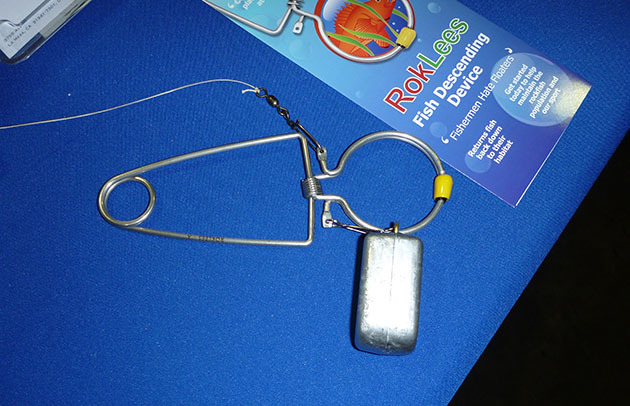 There were many new products being launched, including this new fish descending device called RokLees. 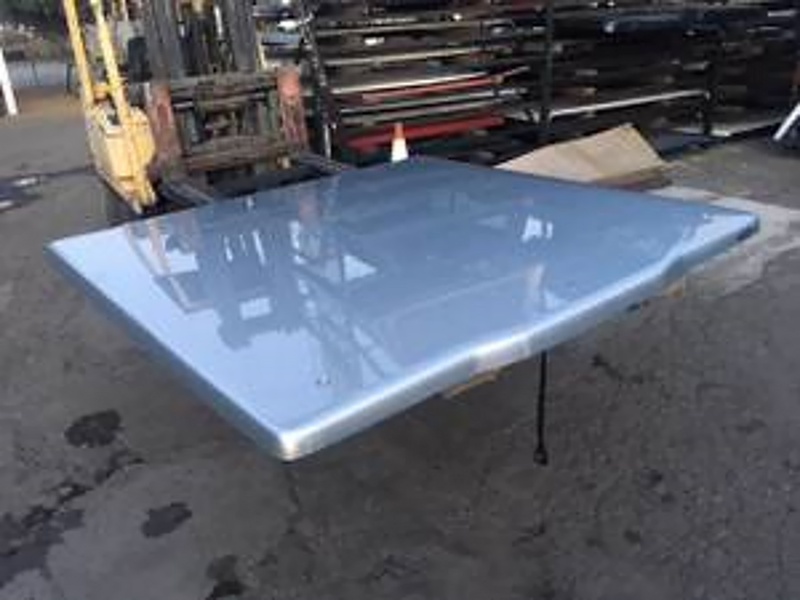 I’m looking forward to testing this one. 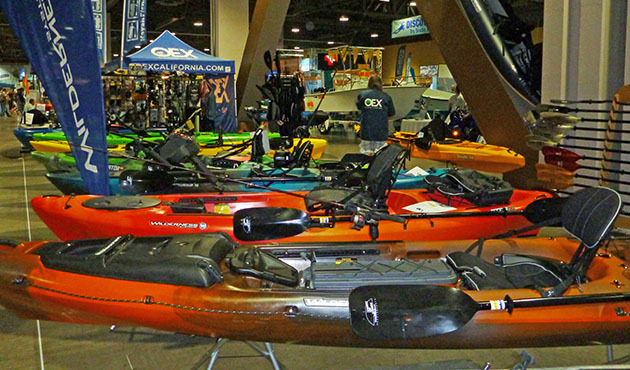 The increasing popularity of kayak fishing was evident as many new makes and models cater to the needs of the one man fishing machine. 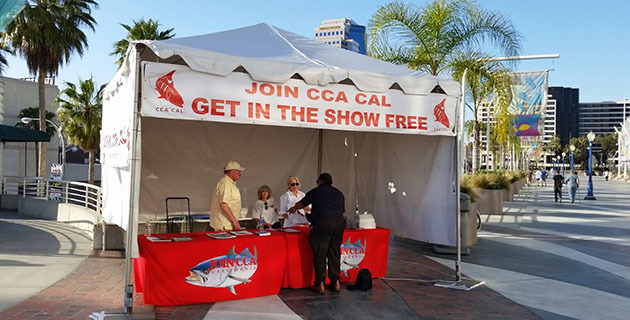 The new California chapter of the CCA was out front signing up new members to join in the effort to save anglers access to public fishing waters. When you signed up, you got entry to the show and many great coupons from participating vendors. BD had their mega-booth set up and passed out stickers and offered this year’s newest shirt designs, as well as some of the classics. 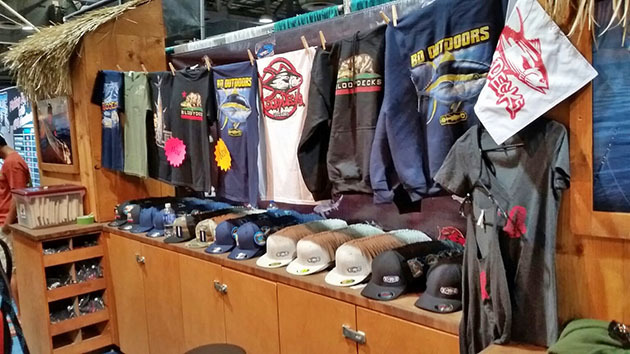 Hats, hoodies and other swag were popular with the fishing crowd and newbies alike. Check out BDswag.com if you missed getting yours at the show or visit the Bloodydecks booth at the upcoming San Diego Fred Hall show.